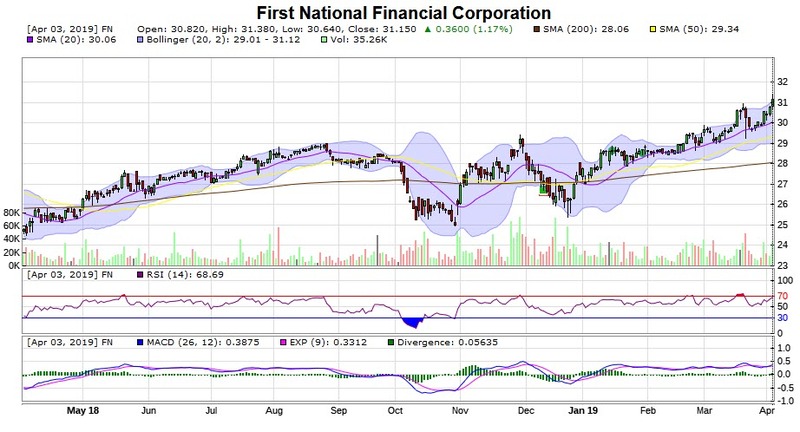 First National Financial Corporation is a Canada-based parent company of First National Financial LP (FNFLP), which is an originator, underwriter and servicer of prime residential (single-family and multi-unit) and commercial mortgages. The Company operates through two segments: Residential (which includes single-family residential mortgages) and Commercial (which includes multi-unit residential and commercial mortgages). The Company provides mortgage-financing solutions to the mortgage market in Canada. The Company also invests in short-term mortgages, usually for six- to 18-month terms. The Company provides underwriting and fulfilment processing services to a mortgage originator using the mortgage broker distribution channel. The Company's subsidiaries include First National Financial GP Corporation, FNFC Trust, First National Asset Management Inc., First National Mortgage Corporation, First National Mortgage Investment Fund and FN Mortgage Investment Trust.